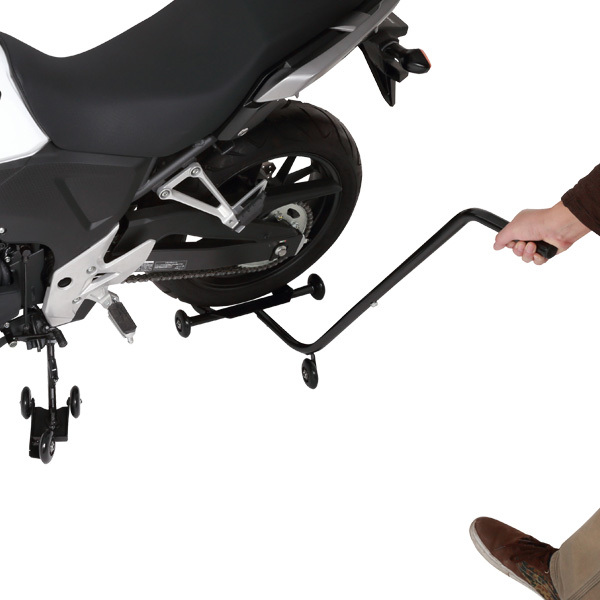 - This Position Changer makes your bike moving easy at the track deck or small garage. 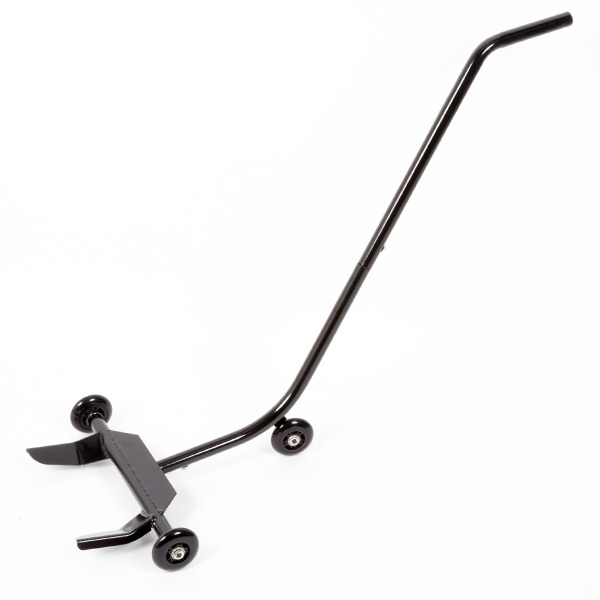 - Use this Position Changer with our Stand Roller (sold separately), to easily move your rear wheel. 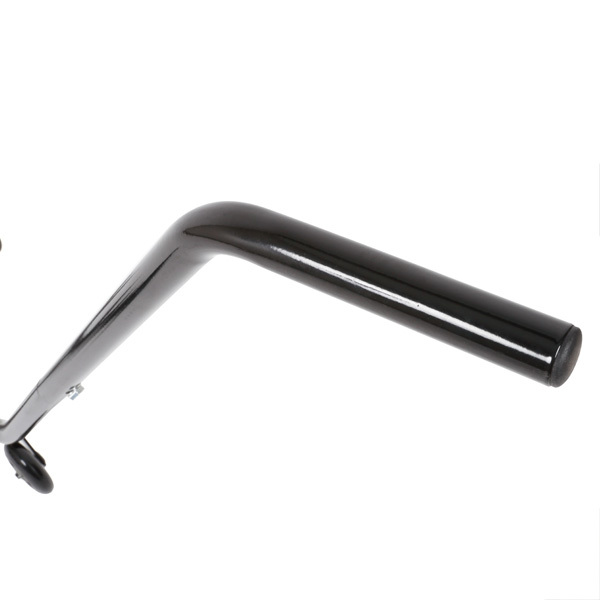 - Even big sport bike can be moved by this Position Changer because of its lever rule design. 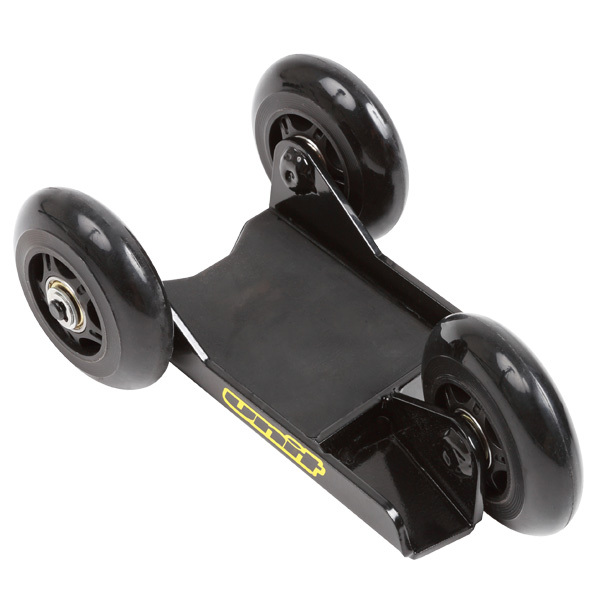 - Position Changer tire has a camber angle for easy operation. 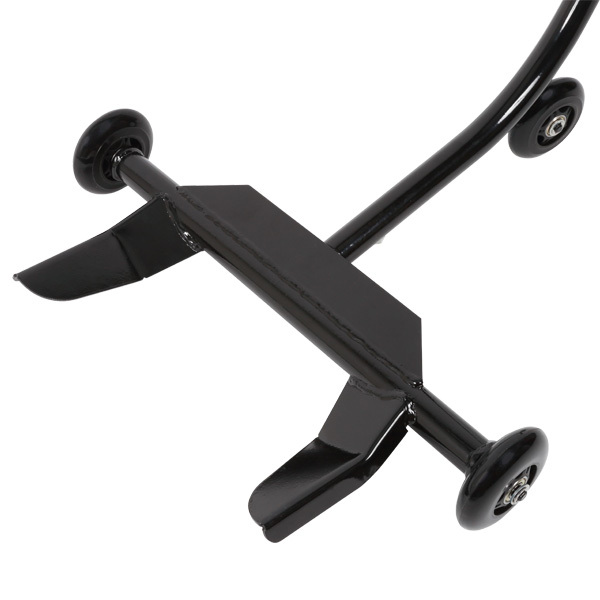 *Recommend to use this Position changer with Stand Roller for easy operation. 1. 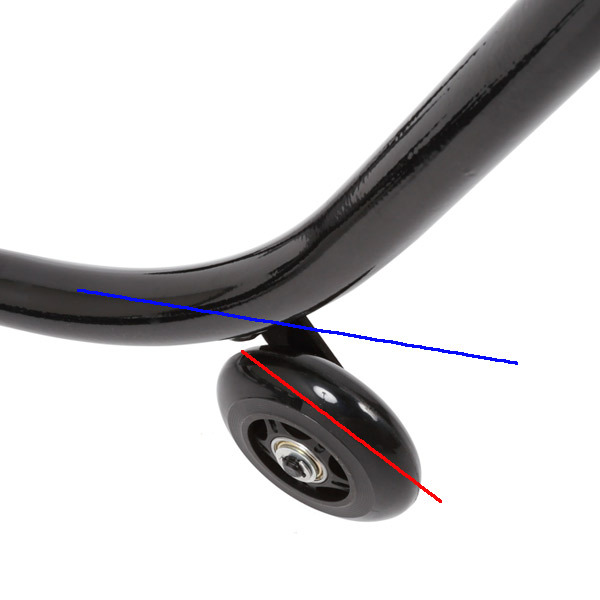 Set Stand Roller (Sold separately) under the side stand. 2. Place Position Changer at rear wheel and lift up rear wheel. 3. Based front tire, you can move rear wheels very easy.